Have Ridgeline Re-Roof Your Home Today! 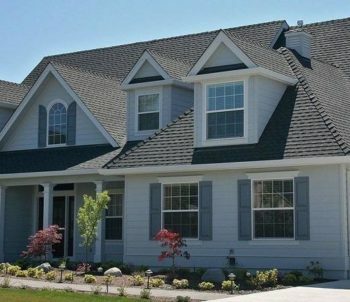 If you’re a homeowner looking for a roofing contractor quick fix of your roof at a fraction of what a full roof replacement service would cost, then consider re-roofing in Camas with Ridgeline Roofing. Most homeowners would rather re-roof their home than replace the entire roof with brand new underlayments, flashing, and shingles. 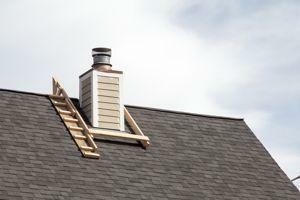 Deciding to re-roof your home may begin a number of ways. Maybe your neighbors decided to spruce up the appearance of their home, and you would like to match their level of curb appeal. Or perhaps your shingles are wearing down, losing granules, and need to be fortified before the rainy season starts up. Whatever the case may be, the contractors at Ridgeline Roofing will be happy to work with you to find the most cost-effective fix for your roof. What Goes Into the Process of Re-Roofing? When your roof is old but in good health–meaning your roof deck is free of mold or water damage, and your shingles aren’t cracking, curling, or missing granules–then re-roofing is a great option for short-term roof repair. And when it comes to re-roofing, we recommend covering the entire roof, and not just a patch of roof. However, if your roof does show signs of extensive wear and tear, like cupped or cracked shingles, roof replacement is the most effective option for investing in the structural quality of your home. Plus, re-roofing doesn’t require a contractor to check under the underlayments to see if the roof deck is in good health. At Ridgeline Roofing, our contractors offer a range of roofing projects that improve the function and curb appeal of your roof. Call us for a free estimate, and we’ll inspect your roof to see what your roof needs. Proudly serving Camas, Vancouver, La Center, and other towns around beautiful Southern Washington, Ridgeline Roofing provides the best in residential roofing repair and replacement services.